Tropical Storm Colin got us thinking about the brave brides who chance mother nature and host beautiful outdoor weddings. Most brides set up back up rain plans in case the weather that day doesn't cooperate. 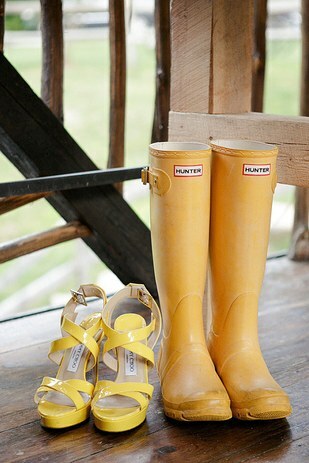 Some even pack Hunter boots as a back up to their Jimmy Choo's. Whether you have a solid back up plan or not we encourage you to embrace the rain on your own day. What is that song lyric? It's like rain on your wedding day? 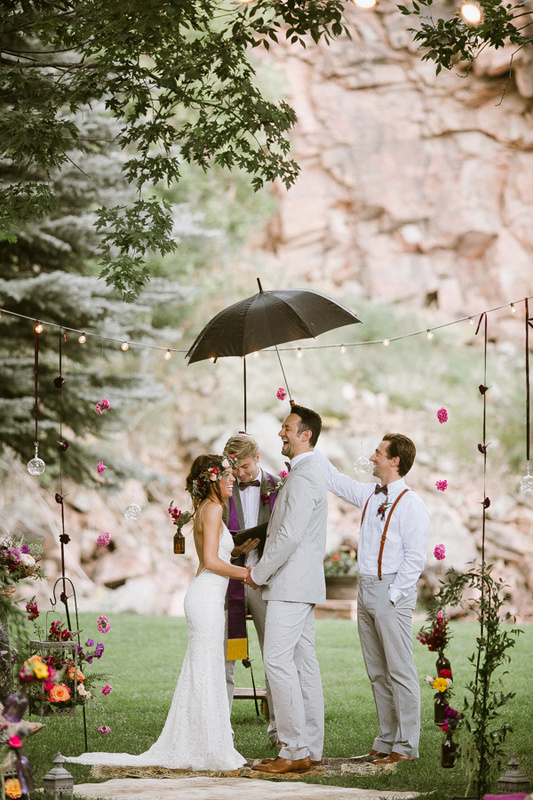 Ironically, rain is said to be good luck for a long happy marriage. So while we hope you have beautiful weather on your wedding day, fear not, rain on your wedding day isn't the end of the world. You can always take after these daring brides and get some of the most beautiful pictures.